Though his 10-year drought without a major title continues, Tiger Woods leaves the PGA Championship with renewed vigor. Woods finished second by two strokes to Brooks Koepka at the PGA Championship on Sunday to extend his drought without a major for at least eight more months. 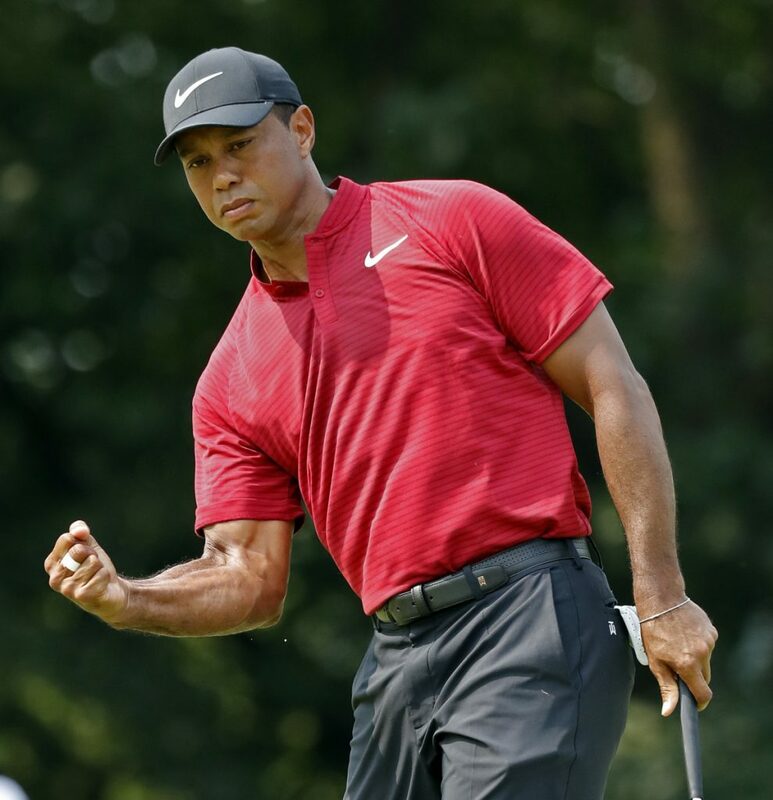 But after the scrambling, club-slamming, fist-pumping, electrifying show he put on during a round of 6-under 64 – his best closing round at a major – who can argue that golf isn’t more fun when Tiger’s in the mix? Even after the excruciating miss on No. 11 – one that looked a lot like his teetering, toppling chip on No. 16 at the Masters in 2005, except that one went in – Woods would not quit. Woods’ last chance to apply real pressure vanished when he pushed his tee shot on the par-5 17th right of the creek running along the right side of the hole. Woods slammed the head of his driver to the ground, then swung it violently in frustration. He scrambled to make par, but by the time he reached the 18th fairway, he was three back of Koepka, who birdied 15 and 16 behind him. On this day, he was celebrating the grind – and the fact that he simply would not go away. In many ways, this felt like old times for the 42-year-old – he of the multiple back surgeries who couldn’t swing a club a few years back, but has now contended on the back nine in consecutive majors, only to come up short, more agonizingly so this time than at the British Open three weeks ago. “Oh, God, I didn’t even know if I was going to play golf again, so yeah,” he said. He had a two-way miss going with his long clubs on the driving range, then came out to the course and missed all seven fairways on the front nine. And yet he scrambled, needing a total of 10 putts over nine holes to make the turn at 3-under 32. “The first real Tiger effect I’ve experienced, with that many people,” said defending champion Justin Thomas, who played two groups ahead and finished in a tie for sixth. Woods has never been someone who was satisfied with second place, and he’s still without a major title since the 2008 U.S. Open. But he said he hadn’t felt this good at a tournament he didn’t win in a long time.